Just to roll some Weed Control Fabric out in your garden and not to worry about weeding anymore sounds good. Stopping weeds without dangerous chemical, and for many years – some give a 25 years guarantee, wow! But is this true, does it work as promised? 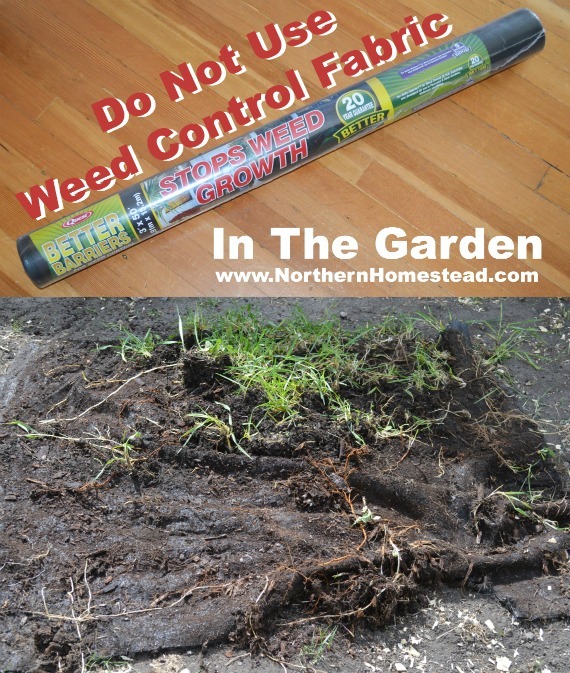 Here are 3 reasons why you should not use weed control fabric in your garden permanently. Along with some good uses for weed control fabric. Even though it is true that weed fabric is not a questionable chemical, it still is far from being natural. When used under mulch, rocks or even soil, it traps earthworms and other creatures in the ground. 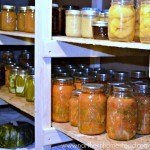 These living beings live in the soil and are very beneficial to the soil and our food. Whoever happened to be underneath has to stay there, and whoever happened to be on top can not go down anymore. Not a healthy situation. Well, you might not care so much about those thousands of creatures living in our soil, but this is just one of the reasons not to use a weed cloth. Even though I would encourage you to care, these creatures make our soil alive and nutritious. Weed Control Fabric is also not biodegradable. Once in, it stays there for many many years, creating more and more problems. Over time it will deteriorate so that getting rid of the fabric becomes almost impossible. There are biodegradable options available. 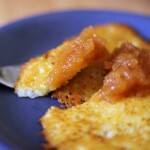 We tried it with our sweet potatoes and got rid of it half way through the growing season. It does heat up the soil, which is great during the cool early summer days. However, in hot days it gets very warm and it’s also harder to water. A better alternative, that is also free is cardboard (see how we used it), or a few layers of newspapers. These things will stop weeds as well and feed the earthworms in the process. Even though weed control fabric sounds like the perfect solution against weeds, it does not work as good as one would think. I was weeding the back of our garden the other day. I started in the corner and went towards the path way. It was a very weedy area. I had let the weeds grow so we could see what comes up, since the garden is new to us. While weeding I was happy to learn that even though there were many weeds, they came out very easily. A previous owner had put wood chips there. 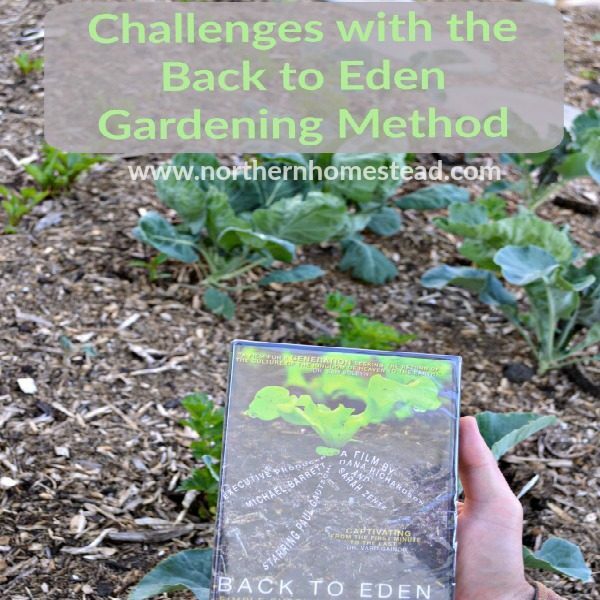 It really encouraged me to see how wood chips really work for the good in a garden. Right next to the path way however, there were especially many weeds, more than anywhere else. I also had more trouble to pull them. Since it was getting late and I was tired, I blamed it on me. Next morning we discovered that this higher weed-infested area had weed cloth underneath it. Oops! We have no idea how long that weed control fabric had been there, but we could clearly see that it did not work well. Here’s a picture of the fabric, see how weeds grow right out of it. Every time you put something on top of the weed fabric that turns overtime to soil, weeds will grow. Even with rocks, it will take longer, but eventually enough soil will build up between the rocks, so that weeds will grow. The bigger problem with Weed Control Fabric is the fact that really bad weeds grow through it. This makes pulling those weeds impossible. Once in there, you will have to replace the landscaping. Here’s a picture of what the weed cloth looked like underneath. Hard to believe, is it? This was very eye opening for us, and I wanted to share it with you. You see roots everywhere, strong roots that grow right through the fabric. We certainly prefer a more natural way of dealing with weeds. If a weed block is needed, newspapers or cardboard work great too. 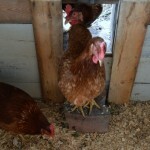 They will compost and actually feed worms and not trap them. Adding heavy mulch is probably the best solution. Some weeds do grow in mulch too, but are so easy to pull. 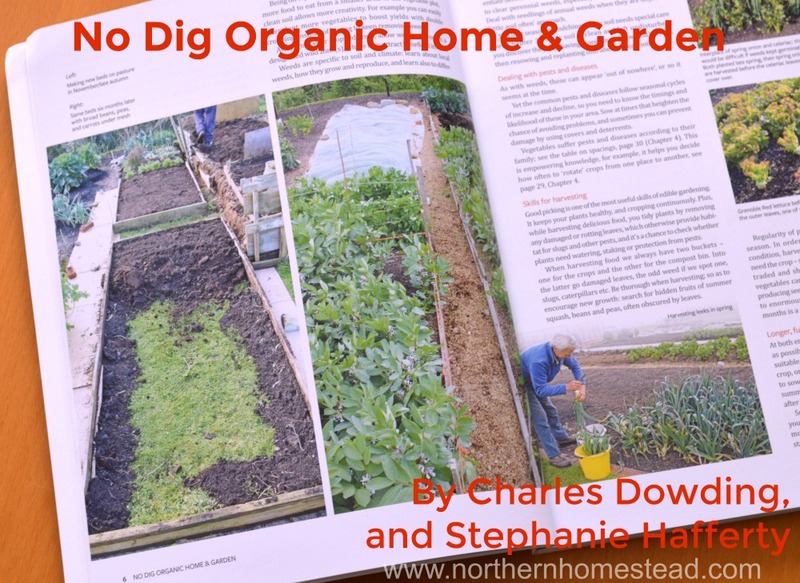 In the award winning book: No Dig Organic Home & Garden Charles Dowding and Stephanie Hafferty, explain how to set up a no dig garden. 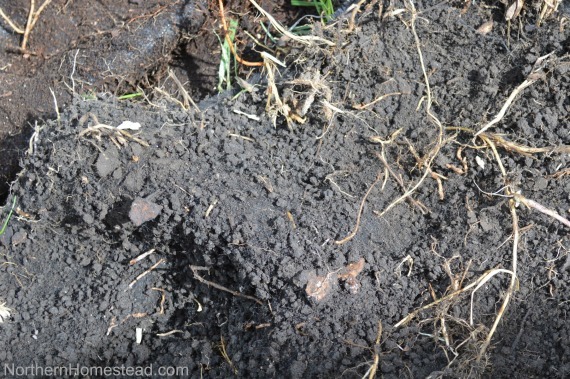 An annual dressing of compost helps to improve the soil structure and leads to higher fertility and less weeds. 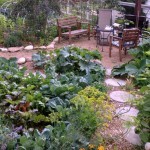 No dig organic gardening saves time and work and is a great natural way to do landscaping. Weed Control Fabric can be used under walking paths and decks. Places where dust and dirt will not find their way between the weed barrier and the surface, so weeds can not grow. Weed control fabric is also great as a cover in the garden if you do not use mulch. Cover the garden bed in the fall, so weeds do not grow during the winter (not happening here, but in warmer areas). 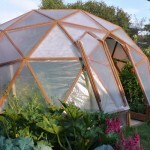 Or cover in spring, to warm up the soil. 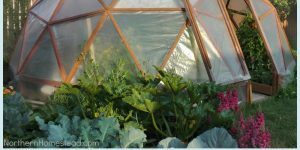 Also warm-season crops like to have the soil warm. Again, weed control fabric can be used here. Just remember not to cover the fabric, so weeds grow, but to use the fabric as a cover. Do not use plastic for this, it will kill all soil life. Last but not least this durable fabric also make great grow bags and beds. Learn how to sew a grow bag here. 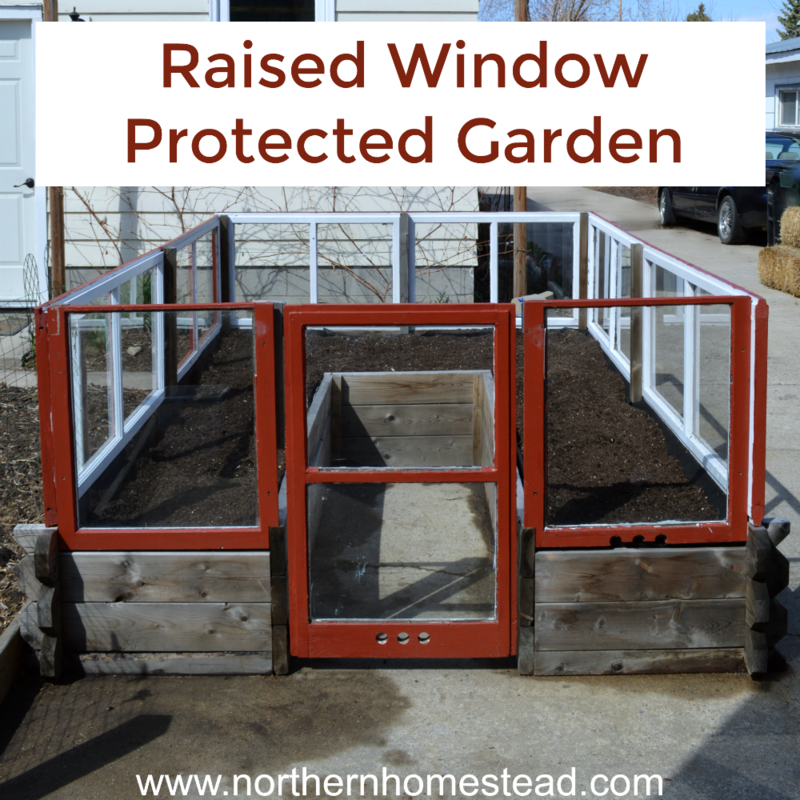 We used it a the wicking bed and the raised window protected garden. 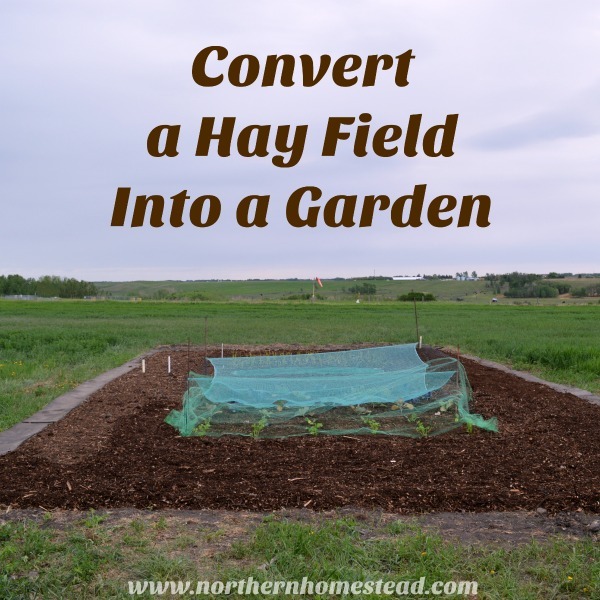 To not miss more tips and howtos, don’t forget to subscribe to Northern Homestead and follow us on Facebook or Pinterest for the latest updates. Wow, I would not even think of using this in my garden, but the previous homeowners used in in our front landscaped beds, and you’re right, it does NOT work! Plus it all comes up and flaps around if it’s not done properly or if there’s a lot of rain. Such a mess! You are right, it is a mess, and hard to get rid of. We too have more weed fabric from previous owners, but to get rid of it we would have to do a lot of work, so even though I do not like it, for now we are leaving it. I’m actually mostly happy with the weed control fabric I have used. 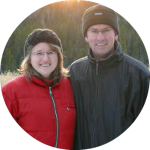 We purchased our property and cleared the trees to put our house on it. It was a jungle! We did battle for years with strange things popping up from the dirt. The weed control fabric has helped with that in my big flower bed. It isn’t perfect, but it did slow down some of those strange things. If we lived where the dirt was healthy and established, I probably wouldn’t use it. It is indeed a LOT of trouble and not perfect. I just layed some fabric in the front yard about 2 weeks ago. Good thing I did not buy the weed control one! 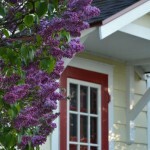 I almost mentioned this subject when I did the mulch post, but didn’t have room. So glad you addressed it! I don’t like it, either. I usually use newspaper under my mulch. Great post! Thank you Alli. Newspaper are great, and of course mulch. I LOVE my weed control fabric. Mine is commercial grade and came on a huge roll…we use a forklift to move it. 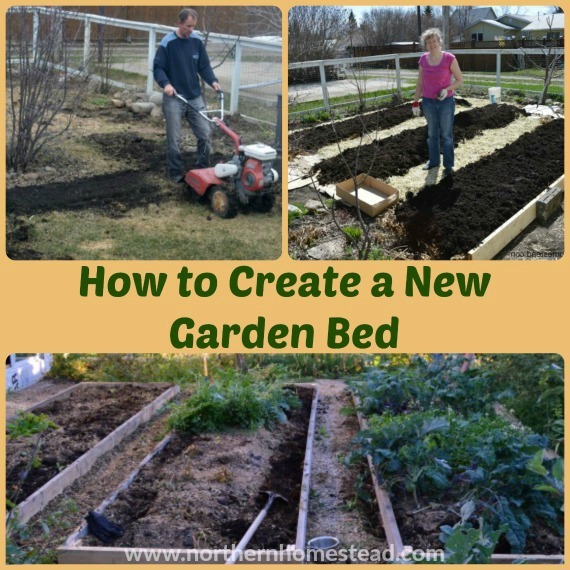 I have a very large cinderblock garden…we rolled the fabric out and then built the beds. I had almond wood mulch placed around the outside of the beds in the walk-ways…if any weeds do grow it takes a second to pull them up…EZ PZ. The worms migrate to the edges of the fabric, so that’s not a problem, either…the fabric is breathable so water and air are exchanged. My fabric is guaranteed for 20 years. I also use it as a shade cloth over the garden beds. Best stuff EVER. It sounds like it is all new, down the road it might be more of a problem. I would be careful. Ive been putting old rugs down as weed supressers, is this okay? If the old rugs are made out of natural materials like cotton, wool, etc they will decompose. If it is synthetic, it’s about the same as plastic. Great post! I had no idea weed control fabric created such problems. Thanks for the info! You are welcome. Honestly I was a bit shocked too, to see the mess it created over the years. I agree I hate landscape fabric I am dealing with it right now in a commercial garden I have taken over, you can not move anything without cutting the fabric. The gardens are very over grown so I’m trying to divide plants , so I have tried to remove most of the fabric. I feel landscape fabric should be for pathways only, but newspaper is cheaper. You are right, newspaper and cardboard is cheaper, and does not create problems over time. I had no idea this was not a good idea. I just replaced my raise garden and added the weed cloth to it. I had used it before but thought I did not secure it well enough and the weed came up the sides but maybe they just came through the stuff. I just spent $50 buying new and replacing it in my raised beds. I am going to try cardboard and newspaper next time. 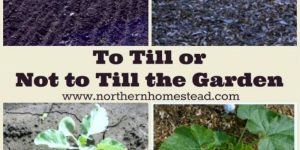 It takes a while till weeds come through, but if they do it is bad. Yes, cardboard or newspapers are a better choice, and cheaper too ;). I’ve used this stuff before with poor results, so when 5 rolls of it was recently gifted to me I knew what to expect. I lay cardboard down and then the landscape fabric over that. This is working well. If I were going to buy more weed-barrier, I will invest in the Pro-5 Weed-Barrier available from Johnny’s Selected Seeds. This commercial grade cloth is heavy duty and I’ve worked with other farmers who are using it in their high-tunnels with success. The pro-5 is more expensive, but it lasts for years (my farming mentor had had hers for going on 7 years) with care and saves a lot of stress and hassle. Definitely worth the investment. Thank you for sharing your experience, Samantha. Weed cloth has its place. I wouldn’t place it down to block everything using anything on top of it. Here is what I use it for. My raised bed garden beds that have been built with a floor in it. 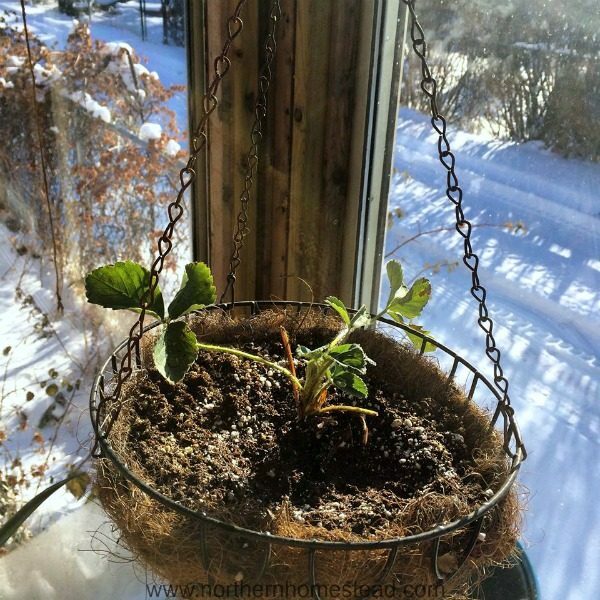 It holds the soil in the garden boxes, and allows air flow. Below this is the grass area that was so covered in weeds that i couldnt walk out there, and the soil was horrible when we moved here. I used professional weed cloth on top of the 6 layers of cardboard I put down to suppress the weeds. We framed out the garden area with wood, then built our raised beds with bottoms in them. We did this four years ago so I would have a garden area I could walk in without getting stickers in my socks. I have not mulched the area, I keep the weed barrier clean as much as I can, and I pull any weeds that do happen to come up from under it. I did not add any soil to the top of the cardboard. I was only using the cardboard and the weedcloth to suppress the weeds. Here is the kicker. That soil underneath has been getting regular feedings of water when it rains, air can pass through, and the worms have gone to town on the cardboard. I suppose if anyone wanted to garden there now would probably have great success, with some additional soil amendments. So, actually today (this morning), hubby and I just put down 8 layers of cardboard in the front of our house, on top of the weeds, then followed by 4 inches of soil. This is now covered in a double layer of weedcloth, and framed out with wood. The purpose is to hold the soil in place, while the worms do their job of feasting on carboard and soil. I expect to have a fantastic bed to start planting some nice hedges and flowers out there in a few months. This weed cloth will never have mulch on it. I will easily replace it, or remove it when I need to work the bed. So, weed cloth has its place, just not to be depended upon as a complete cure for weeds. A good quality professional weed cloth is the way to go. I’d sure like to know where the poster above got their 25 year warranted weed barrier. I want some of that. What should I do for a more solid base than mulch if I’m placing 1/4 grade gravel? My space is 26′ x 15′ so that’s a lot of cardboard. It does not sound that you are talking about a garden, at least I hope not. Gravel is not a good choice for a garden. 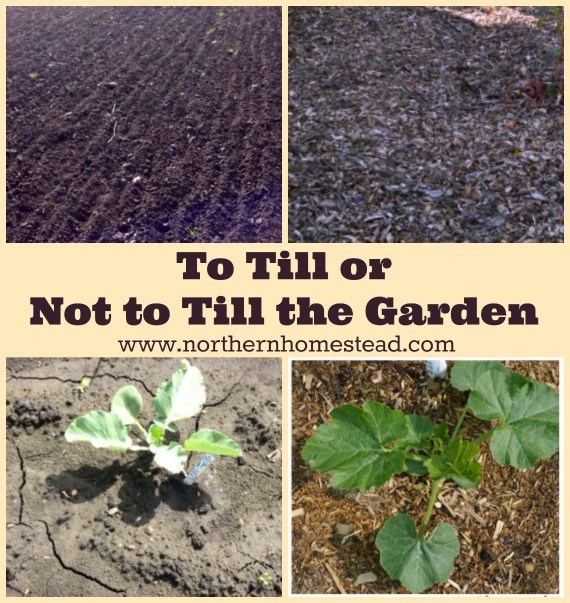 If you ever change your mind to plant anything the gravel will be in the way, it will never turn into good soil. I disagree that weed control fabric is bad – it simply is not that binary and depends on many factors. Where you have heavy clay soil (as I do) that is literally workable for about four weeks a year then weed control fabric is the only way to create anything that is remotely maintainable. When my soil is wet you could throw pots from it and when it’s dry you need a pneumatic breaker to work it! Once it becomes infested with weeds, a chemical killed is required otherwise it’s less work to sell up and move than to try and weed it. I get the point you’re making and if I had a friable free-draining loam I might agree but unfortunately I don’t. It’s a case of horses for courses. 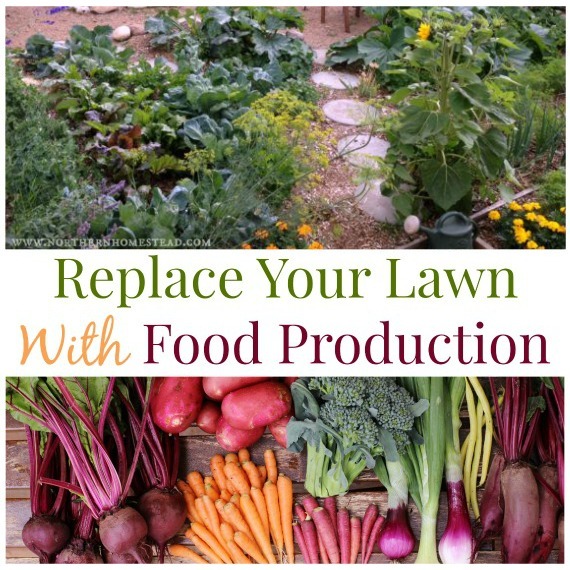 It sounds like you need to build up your soil, not cover with fabric. 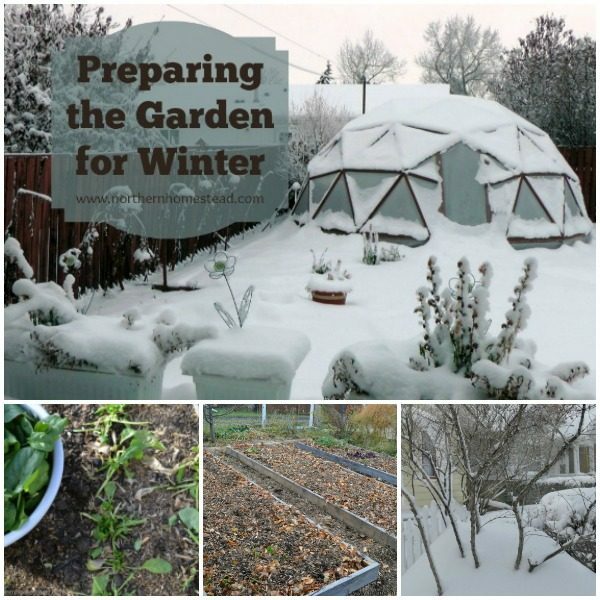 Try to cover your soil with a few inches of compost every year, not till it in, just cover. Your soil will improve greatly. For the start you can use 6 inches easily and press it down, it will take care of the weeds. 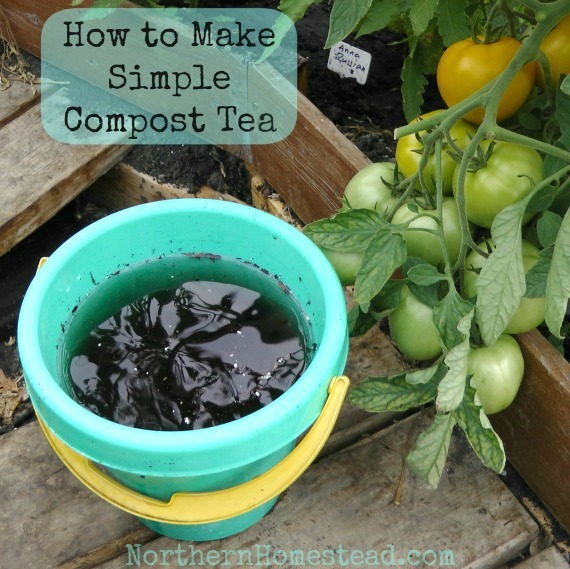 Plant into the compost. Hope this helps. 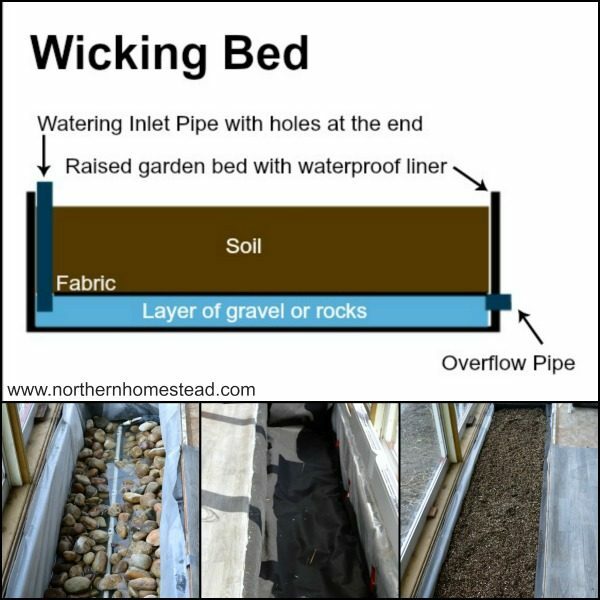 I used a commercial quality landscape fabric in my garden ten or eleven years ago. It was great for several years, but then my health went sideways for a few years and the weeds got going wherever there was a hole in the fabric (made by me to plant through), or where dirt accumulated on top of the fabric in the paths. The key to using landscape fabric in a place where you either plant through it or walk on it, is maintenance. You simply have to pull it every few years, and reset it. If you do that, it lasts and is just as good as the day you put it down originally. 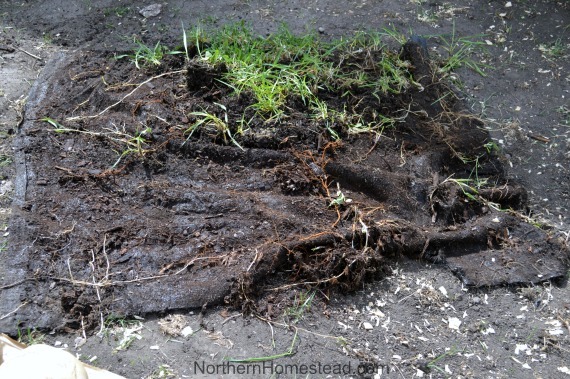 I pulled my fabric this spring, tore out the buckthorn that had started coming in (it had been that long since I used the garden), and reset the fabric after amending the soil with fresh compost. I do use a lot of cardboard in my garden now, and I don’t know that the organic aspect of it is helped any by the glues that hold the cardboard together. So I don’t fault the landscape fabric from that standpoint. Would I use it again in a “working” garden? No. 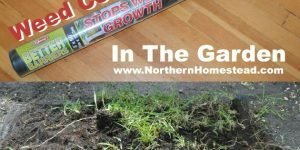 It’s not really made for that application, it’s made to keep weeds down with an attractive mulch around your foundations and not have traffic on it, or to put over gravel if you have a patio type area that you might have a container garden on. But with care you can make it work in garden. It’s not care free, though, by any means.